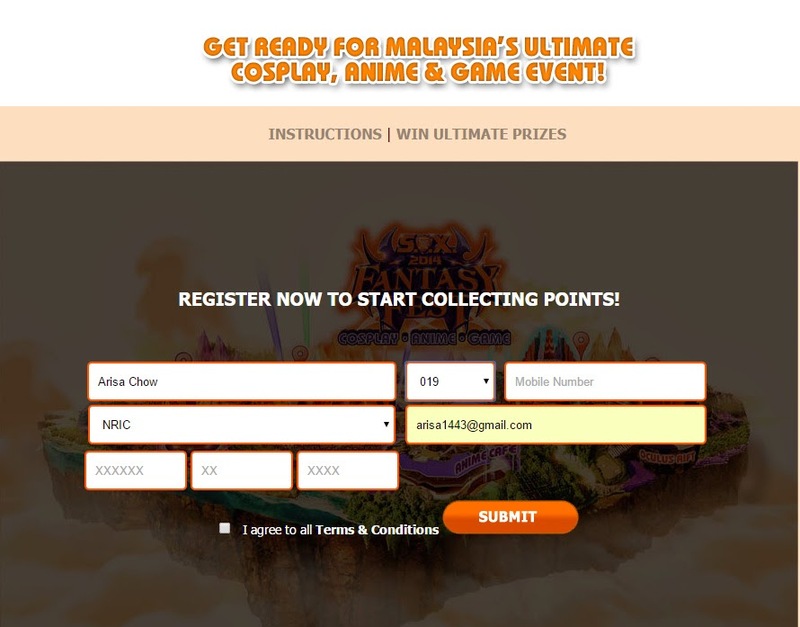 Calling all cosplayers, gamers and anime lovers of all ages, you wouldn't want to miss this upcoming biggest event next to ComicFiesta 2014 (december) brought to you specially by Celcom Malaysia. I clearly remember that i mentioned a few months ago that i might go on hiatus again on cosplaying but knowing this event is new and it needs our support from the cosplay community, why not let us old and new cosplayers all join this event to make it an amazing one? Who knows, if it's successful we might have more cosplay events near future to look forward to. 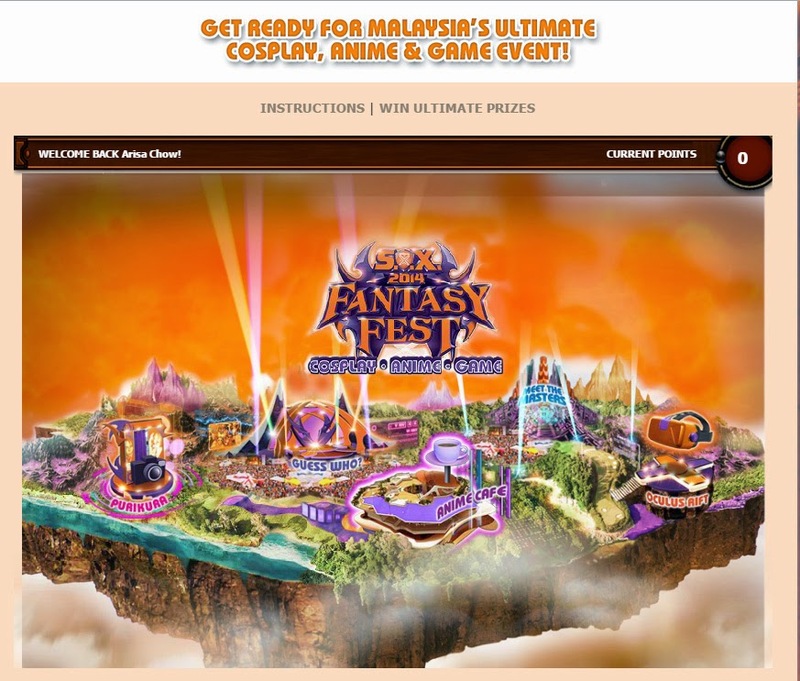 This is actually the first ever largest fantasy festival held in Malaysia, with many interesting activities lined up for gamers, cosplayers and even the public. I can foresee this as another way to join both our community with the public to learn more about this culture that has been in the shadows for far too long. Being a gamer or a cosplayer isn't something to be ashamed off! In fact you can amazed the crowd with your ultimate gaming skills by joining S.O.X. 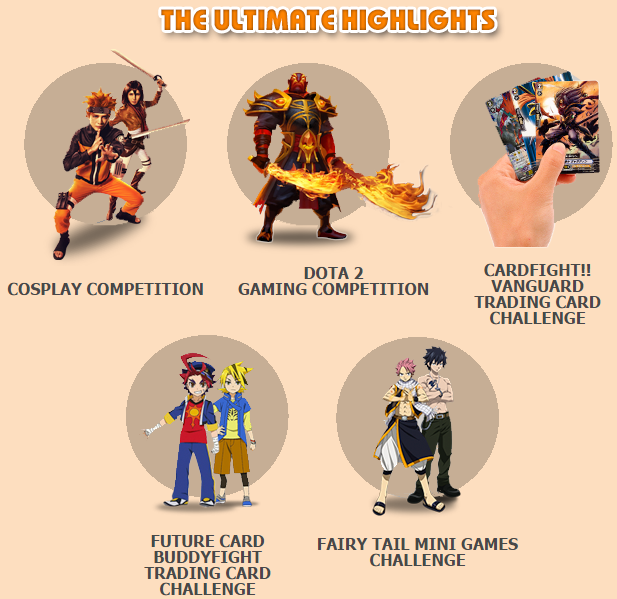 2014 Fantasy Fest Dota Gaming competition where there are awesome prizes like limited editions DOTA replicas and many more. What to look forward to at S.O.X. 2014 Fantasy Fest? Card Fight!! Vanguard Trading Card challenge - For card game fans, trust me that card fight is also a skill i bow down to aside from gaming lol. You will be super duper surprised how difficult it is to actually grasp the concept. Capsule Vending Machines (Gashapon!) 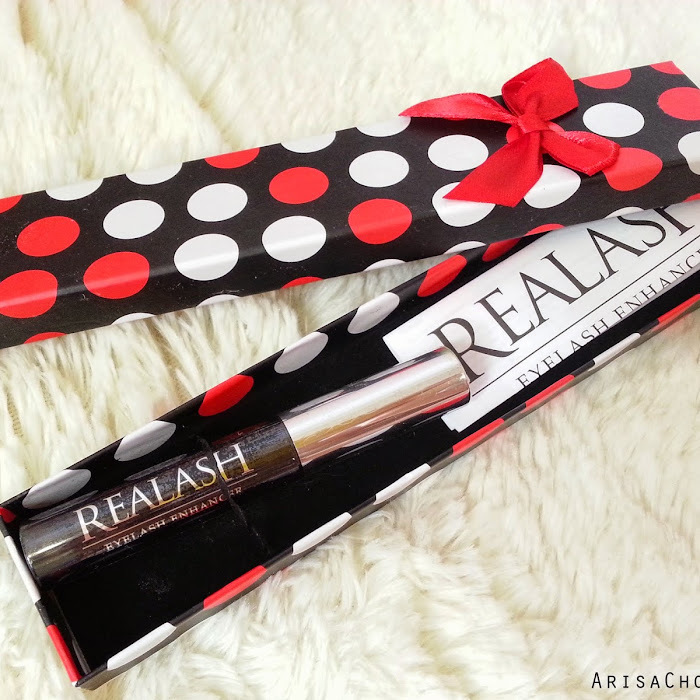 - MUST. TRY. THEM. super addictive especially when you can't get the design you want :-P worth a try, may the odds be in your favour and also please pass me some luck. TQVM. Caricature drawing, Sketch Me! - Always wanted an animated version of yourself but you can't draw head over to the caricature booth to get yourselves 'anime-fied' by talented artists. Don't worry in your not in KL to join this because S.O.X. 2014 Fantasy Fest DOTA regionals is coming to you! Yes you read it right people, the nationwide tour covers states like Penang, Johor Baharu and Selangor. That's not all, winners of the individual regions get to compete their way to the Regional Finals @ Kenanga Wholesale City this 22nd & 23rd November 2014. You might all be wondering first and foremost what on earth is this S.O.X. 2014 Fantasy Fest about and who can attend..etc. Before the actual event kick starting next Saturday, 25th Oct why you you head on over on a virtual tour on S.O.X. Fantasy tour (⇦ click me) to get a rough idea on what to expect on the event date itself. Furthermore by joining the contest tour online, collect points to be in the run to win some prizes like Apple iPhone 5 and many more. It's FREE OF CHARGE (FOC) for all S.O.X. member. If you are not one, come join today by getting your S.O.X Pack during the Fantasy Festival to enjoy exclusive privileges as you wouldn't want to miss out all the fun your friends are having. Take note that as a S.O.X. 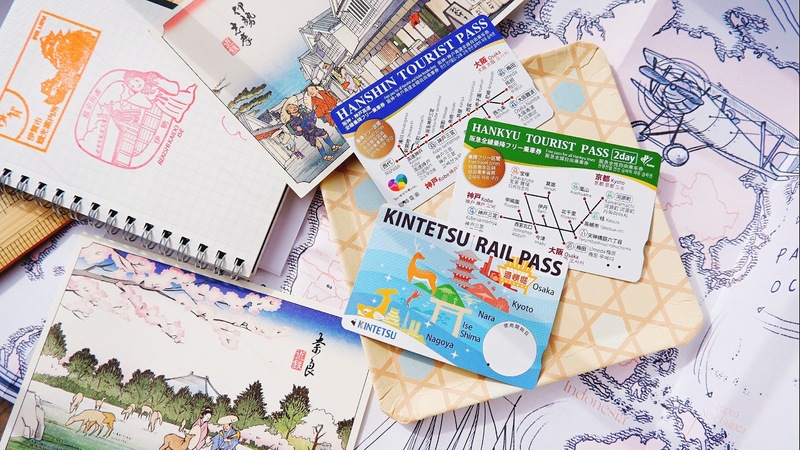 member you entitled for FREE ACCESS on all the attractions on the event dates. P/S: The more points accumulated (collected) from your S.O.X. account the higher your chances are on winning the grand prize. Guess Who: How well do you know your anime characters? Purikura : Let loose on your editing & decorating skills on your photos. 4. You can collect points each time you share your completed mini task from the Fantasy Tour on Facebook. 6. Want extra points? Join us at the S.O.X. 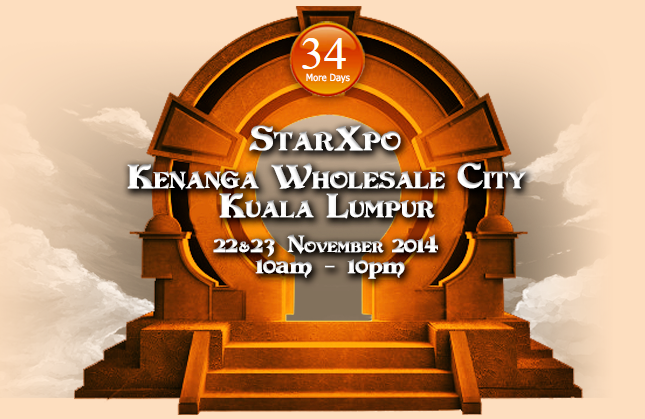 2014 Fantasy Fest event at Kenanga Wholesale City on the 22nd & 23rd November 2014. See you there! 7. Winners are selected based on the highest combined points collected from both the Fantasy Tour and at the S.O.X. 2014 Fantasy Fest Event. 8. One (1) winner will be selected each day during the S.O.X. 2014 Fantasy Fest Event. The winner will be announced during the S.O.X. 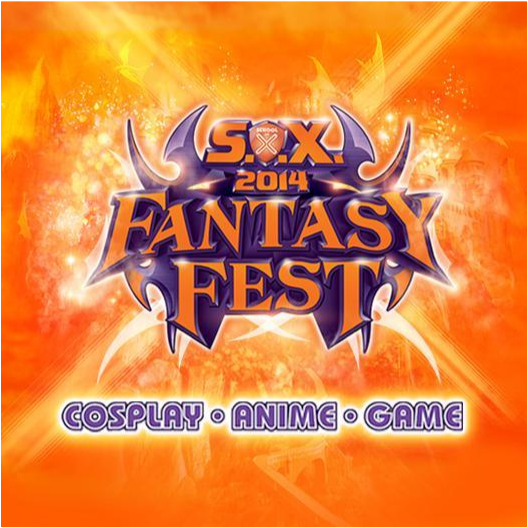 2014 Fantasy Fest Event and will be awarded with the Prizes. All the best in winning peeps! Aren't you all excited and pumping with adrenaline? 8D Because I am! So much fun and excitement that i can hardly wait, here is a sneak peak on my upcoming costume that i will be début-ing on the 25th October (Saturday) .